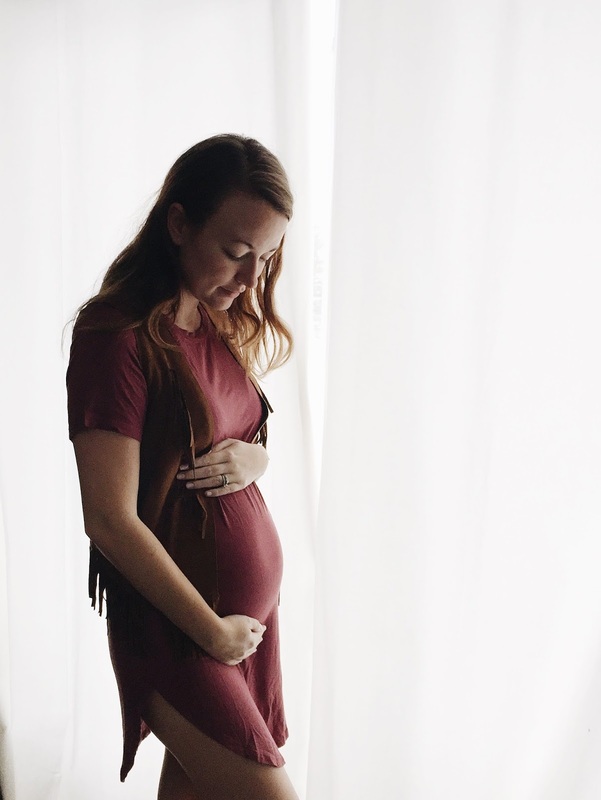 After journeying through infertility and loss, it is at times hard to accept that I really am pregnant and that baby plans to stay here in my womb for quite awhile. Of course, I want that reality with all my heart but once you lose something it always feels a little surreal when something decides to stay. I have had to really unlearn a lot of my previous thought patterns that existed to protect my heart from thinking much about babies or pregnancy or the joy that a baby would bring to my life so that now I can fully experience all this joy as it unfolds. Sometimes I even find myself still struggling not to hold back my delight as I still remember all too well how much talking about pregnancy used to hurt my heart. For awhile it was all walls of protection, all safeguards to keep me safe and okay, and now they’ve all come tumbling down with the presence of this little one, always with me, always growing. It really is beyond words…a blessing absolutely, and though surreal, certainly not taken for granted for a moment. I can’t believe that in 5 months, I will be facing my due date and waiting to meet my beloved little baby. Just 5 months! Simply crazy how time flies. Yesterday I asked Scott if he liked me being pregnant and he said yes it was the best thing ever and I told him “great, because I want to be pregnant forever!” lol. I love it. Of course, there are many trying moments and aches and pains that don’t feel very lovable. My first trimester was a total jumble of nausea and migraines and other inconvenient feelings, but I still even in those moments much preferred being terribly sick pregnant, than being perfectly healthy and not pregnant. I am addicted to this feeling of having a life inside me to care for. I just love it. I know I will miss it the moment the baby comes out and I am left empty again. I always knew deep down I would love being pregnant. I used to rub my endo bloat belly and pretend there was a baby in there instead of inflamed scar tissue haha. I just have always loved pregnancy and thought it was so beautiful. So now let me take my head out of the clouds and give an update! I am 18 weeks and already wearing a lot of maternity clothes because they are so much more comfortable. Anything that digs into my belly or has a waist band that sits in the middle of my belly is no longer an option. Baggy clothes are definitely my favs for around home. I haven’t actually gained much weight at all though my bump is definitely protruding. My weight gain so far has been about three lbs, which before I was pregnant I would have been excited about but now that I know better it is a little bit worrisome - I am expected to have gained about 8-10 lbs already so I am definitely behind. My problem is that I eat often but small portions because my appetite shrunk a lot after all the severe nausea. It also doesn’t help that my stomach feels so tight and full all the time. So my reality is that weight gain has been pretty slow…I actually lost weight in the first trimester because of not keeping food down…so maybe I am just slow to start gaining. I am sure all is well. I’ve been feeling baby’s movements more often now…still little flutters but much more frequent. They are the cutest things to feel and make me smile every time. This baby also makes me laugh because as much as my nausea has mostly passed, it is a great surprise if I don’t gag while eating veggies (and I am talking the veggies I normally love to eat). This child may be a picky eater lol, which isn’t a surprise because I was the worst as a kid and teen! It wasn’t until I started shooting weddings and was too hungry not to eat whatever was served to me that I finally broke my terrible eating habits. Well I think that’s all that’s new around here! Was so busy this past month planning the Dundalk Santa Claus Parade which was last weekend. Now that it’s over, I have a lot more free time which is lovely. It went great though….I was sad I couldn’t attend after all the planning but next year baby will be able to go too so that will be great! Pregnancy is such a wild ride hey? Continuing to pray for you guys as you prepare for your precious baby. And if by chance you do have gestational diabetes, don't let that freak you out. I had it in my 2 & 3rd pregnancy. Once everything is explained and you realize it was nothing you did, that will ease your mind. Once my babies were delivered, I was checked & they were checked and we were all cleared. The gestational diabetes goes away & is not passed on to the babies (praise the Lord). You look fabulous. PS- I'm calling baby girl.